Make yourself at home in one of the 69 air-conditioned rooms featuring refrigerators and flat-screen televisions. Rooms have private balconies. Complimentary wireless Internet access keeps you connected, and cable programming is available for your entertainment. Private bathrooms with showers feature complimentary toiletries and hair dryers. Featured amenities include dry cleaning/laundry services, a safe deposit box at the front desk, and an elevator (lift). 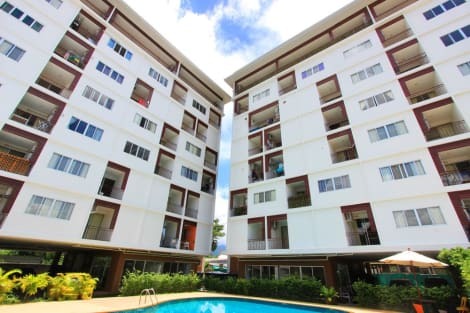 When you stay at Airport Resident 2 in Chiang Mai, you'll be in the business district, within a 5-minute drive of Chiang Mai University and Riverside. 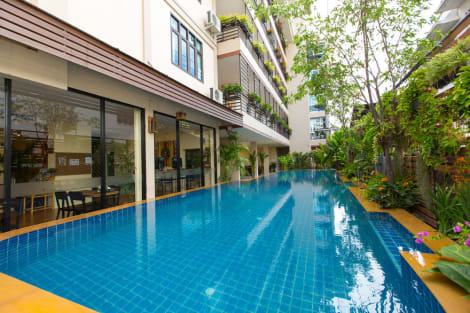 This hotel is 0.5 mi (0.9 km) from CentralPlaza Chiang Mai Airport and 2.9 mi (4.6 km) from Chiang Mai Night Bazaar.